The Registered Nurse Inpatient Obstetric Nursing Certification (RNC-OB) is available for nurses in the obstetric, gynecologic and neonatal specialty. 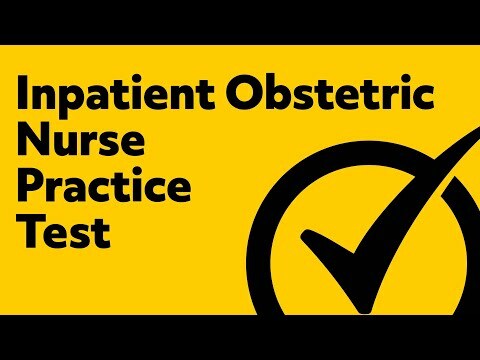 Developed by the National Certification Corporation (NCC), the RNC-OB evaluates applicant’s understanding and practices in the field of obstetrics. Although the RNC-OB doesn’t act as a license, in some states, this NCC certification is a requirement. Applicants are encouraged to find out how the RNC-OB relates to state requirements, educational programs, and employers. Valid License. Applicants must have a U.S. or Canada nursing license. Your licensing information, such as your license number and state will be documented. Clinical Experience. Applicants are required to have 2 years of experience, with at least 2000 hours of practice, as a U.S. or Candian RN in Inpatient Obstetric Nursing. You may include any practice time you earned during your nursing career. Employment History. Applicants must provide all employment history. For the purposes of the certification, employment history includes education, administration, research, and clinical experience, during your nursing career. Inpatient Obstetric Nursing Experience. Within the last year, applicants must have an employment history in Inpatient Obstetric Nursing. To register for the Registered Nurse Inpatient Obstetric Nursing Certification (RNC-OB) complete the online application on the NCC website. The application will require your personal, licensure, and employment information. After submitting your application, you will receive an email confirmation. The application reviewing process typically takes 2-4 weeks. After an application is approved, the applicant will receive a letter in the mail with instructions for setting up the test date. Please note that letters are sent on the 15th and last day of the month. When your letter is sent, you will receive an email confirmation. Applicants applying to take the RNC-OB must pay a non-refundable $50 application fee. It is $275 for the computer exam, and the Professional Education Center (PEC) exam fee is $225. Institutional Certification Program (ICP) exam fees are covered by your institution. Applicants may process payment with credit cards (Mastercard, American Express, or Visa), a check, or a third-party payment. Any additional fees associated with the RNC-OB are listed below. Retest Fee. If an applicant needs to retest the test, they will have to pay the application and examination fees. There is a 90-day wait period before an applicant can resubmit an application for testing. Withdrawal Fee. If an applicant is registered for the computer exam and would like to cancel their test, they will receive $160 of their initial payment. ICP and PEC applicants may not withdrawal. Change Fee. If an applicant needs to take a different exam, missed their testing date, or can’t take the test on their scheduled test date, they can complete a change request, for a fee of $125. Computer exam applicants can change their test date, within their testing window, one time for free. To change the date, applicants must contact their PSI/AMP testing center. Incomplete Application Fee. If an application is missing any required information, documentation, or payment, applicants can resubmit their application with a $30 reprocessing fee. Ineligible Application. If an applicant is determined ineligible, they will receive their examination fee, but not their $50 application fee. Returned Check. If an applicant’s check or e-check is returned, for any reason, there will be a $30 fee. Credit Card Chargeback. If the applicant’s credit card company issues a chargeback, due to the cardholder’s dispute of charge, there will be a $30 fee. It is important to schedule and take your exam within your 90-day window. If you fail to do so, you will not be awarded a refund. Maternal Factors (14%). Example topics include systemic lupus erythematosus, substance abuse, and sexually transmitted diseases. Fetal Assessment (20%). Example topics include uterine activity, fetal growth, and maternal serum screening. Labor and Birth (29%). Example topics include stages of labor, pharmacological methods, and nursing responsibilities. Obstetric Complications (20%). Example topics include obesity, hemorrhage, and prolonged pregnancy. Postpartum (10%). Example topics include cardiomyopathy, family adaptation, and pain management. Newborn (5%). Example topics include surgical emergencies, behavioral states, and infectious diseases. Professional Issues (2%). Example topics include staffing issues, research utilization, and quality improvement. Before entering the testing center, applicants must provide 2 forms of identification, which include a photograph and the applicant’s name and signature. Test-takers may bring a sweater or jacket, and all other personal items will be stored in a personal locker. Electronic devices, notes, reference materials, and other items are not allowed in the test room. The examination consists of 175 multiple-choice questions. 150 questions count towards your score, while the other 25 are pretest items. Applicants will have 3 hours to complete the test. The Registered Nurse Inpatient Obstetric Nursing Certification (RNC-OB) assesses nurses’ foundational knowledge and practices in the Obstetric Nursing field. Studies show that just merely understanding the content and using traditional study techniques are not that effective. Our test experts studied the RNC-OB and created the Mometrix Inpatient Obstetric Nurse Study Guide. This easy-to-read guide covers the many topics found on the examination and includes powerful test-taking secrets that are sure to help you on test day. 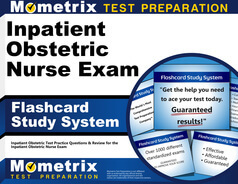 Our test experts also wanted to make the studying experience, fun, yet successful, so they developed the Mometrix Inpatient Obstetric Nurse Flash Cards. These professional-quality flash cards are easy-to-read and durable, so you can study on the go! The Mometrix Inpatient Obstetric Flash Cards also include test-taking secrets that will help you answer questions more quickly and correctly. We look forward to helping you pass the Inpatient Obstetric Nursing Certification exam! Mometrix Academy is a completely free RNC certification resource provided by Mometrix Test Preparation. If you find benefit from our efforts here, check out our premium quality Inpatient Obstetric Nurse study guide to take your studying to the next level. 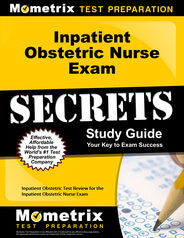 Just click the Inpatient Obstetric Nurse study guide link below. Your purchase also helps us make even more great, free content for test-takers. Our customers love the tutorial videos from Mometrix Academy that we have incorporated into our Inpatient Obstetric Nurse test study guide. The Inpatient Obstetric Nurse study guide reviews below are examples of customer experiences. I really like the way the info is pared down to what I need to know. It’s concise and to the point, easy to read and easy to understand. Even if I don’t pass my test, I still feel that this is a good book for me to have and to read. It has been very good about refreshing my memory on a lot of different topics. I just started reading this in prep for my exam. The content is easy to understand. I like the way in is broken into sections. This makes it easier to scroll if a particular topic doesn’t need as much study time as another area. It is very helpful to have a physical book in my hands to study whenever and wherever I am. No computer needed every time I want to study. So, far, I’m very impressed. I have received multiple recommendations from co-workers that this was a great tool for them while studying for the National Certification exam….all who have passed. 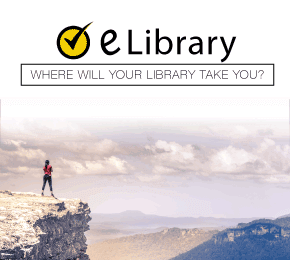 Thus far I have enjoyed reading the materials as it touches base with multiple topics that are to be on the exam, looking forward to my continued studying with this product and any other further study skills would be greatly appreciated. Concise and accurate information that makes for a great study guide. I needed something to help refresh the things I don’t encounter everyday. This book is excellent source to review my current knowledge and points out my weaknesses in other areas and motivated me to study more. Information inside this study guide has made my studying much easier. I found the study guide to be exactly what I needed! Right to the information without all the extra stuff that is to often in text books. I found the practice test answers to be very helpful, I LOVED that they had an explanation of the correct answer. I will definitely recommend to the nurses on the unit. I have found this product to be most helpful in directing me to what info to study in a very clear, simple way. The bonus is advising me on how to navigate through the test strategy itself with the secret test-taking tips. This will be a valuable resource for anyone looking for clear, powerful assistance in preparing for this exam. Confidence building ! The material is relevant and given in a concise sections that highlight the important concepts. 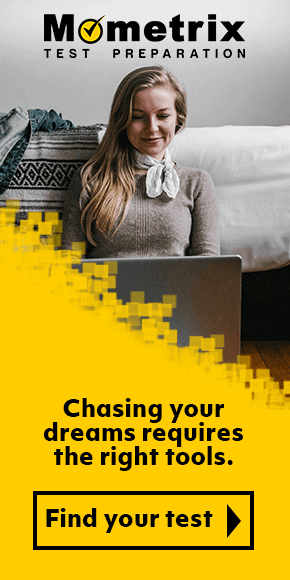 I like the study tips and preparation ideas that are included as well, many of the other products I considered before purchasing your product did not have that information.